Meet Book Blogger Raechel of "God's Peculiar Treasure Rae"
Today I'm hosting Raechel, who might be the youngest book blogger I know. 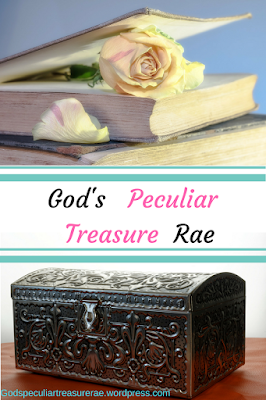 This gives her a unique viewpoint on today's Christian fiction. Welcome Raechel! How long have you been reviewing and how did you decide on the theme for your blog? D: I think that progression from a broader to a narrower focus for a blog is common. So, what’s the best part of being a reviewer? R: Definitely getting the chance to read (sometimes even advance read) amazing books! For free, too. That’s pretty great. I am a book-lover through and through, so starting new adventures is always a joy. D: Free books are a great reason to start blogging, but writing reviews is not for everyone! I'm all for simple reviews, but some of you bloggers are incredible! What’s the most difficult part of the ‘the job’? R: Hmmm...probably having to have reviews posted on time. There are some publishers that require you to have a book read and reviewed on a certain date, and that can be hard when life intervenes. Usually the required date is far enough out that it doesn’t cause too much of a problem, but still, it can be difficult. And I have an immensely hard time when I have to review a book I didn’t necessarily care for. It’s rare, but it happens, and I hate to give a ‘bad review’, so I try to be as gentle as I can, always. I know how much work an author puts into their stories! D: I think we all know that everyone's tastes are different. Look at ice cream! So, I agree and absolutely appreciate what you're saying! Speaking of... What was the last book you read that you couldn’t put down? D: Without trying to sound all woo-woo here, I'd say that Tessa has a special calling and anointing to write Biblical fiction. Absolutely! (I just finished Land of Silence, myself!) 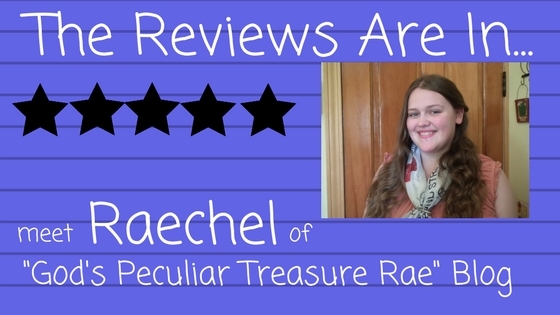 Here's Raechel's review! D: What would you like to share about yourself that few people know? D: I think sensory dysfunction is much more common that people realize, but thankfully it's recognized more now and children are given ways to deal with it than say, ten years ago. Not understanding the symptoms means a label of 'behavioral problems'! I have a special young man in my life that deals with something similar. Thank you for talking about it! D: What is your favorite fiction setting? Place and time? Genre’? R: Oooh, hard question. I like a lot of different things in fiction! I guess Medieval/Magic-less Fantasy and Biblical Fiction would be a close tie, but I also love books set in the 40’s, and contemporary clean romances have become a recent favourite...so hard to choose! The truth is... I went snooping and saw that you also like knife and tomahawk throwing, so I'm going to ask you more about this in the comments. GOTCHA! What’s your favorite movie to watch if you had a rainy afternoon alone? What if that afternoon rolled into a quiet evening alone… What catered meal would you like delivered to your house? Cost is not an issue! D: How funny! Kav Rees, my last guest, chose Wives and Daughters too. Elizabeth Gaskell, if you're listening, We Love You! 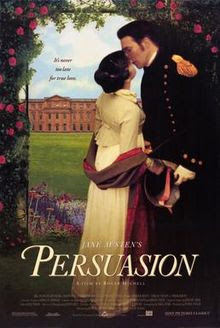 I own it and both Persuasions. Ciaran Hinds is a bad guy in a Thomas Hardy series and it's hard to not picture him as Capt. Wentworth! oh my! Meanwhile, I've ordered that buffet. 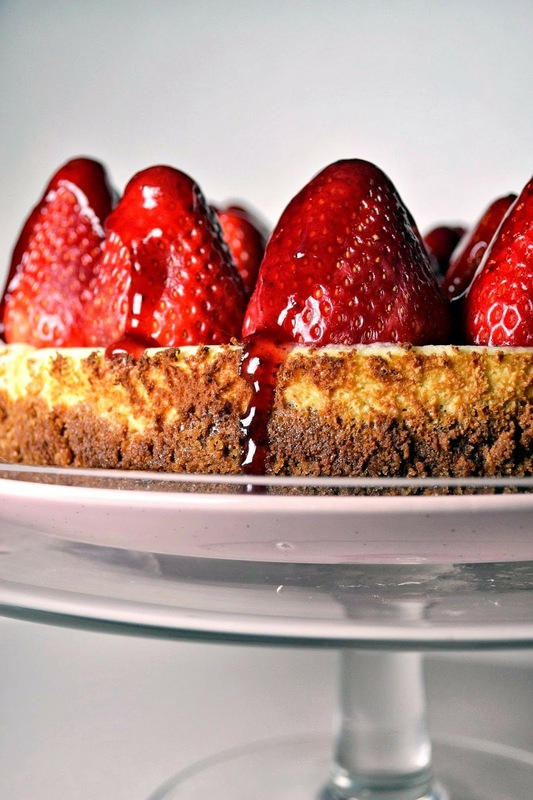 We'll start with strawberry cheesecake! D: If you could wiggle your nose and be in your dream career, what would it be? R: That would be a missionary. I’ve known that’s what I wanted to ‘be’ since I was 13, and God has only strengthened that desire over the years. Just waiting on His timing! D: I think you have a very good chance of that happening, as opposed to professional fabric hoarder (my choice). I'll be watching for updates! R: Focus on God and what He’s guiding you to write - critiques and reviews are definitely important, but God’s heart in a story is the most important thing, I believe! D: I have to remind myself of this all the time! Some of my stories are closer to the center of Christian fiction, (we call that Preaching to the Choir), but I try to just write the story that I need to tell at the time, and hope they find the readers they were meant for. Raechel, I love what you're doing with your blog and we all appreciate the role of book blogger/ reviewers. Thank you so much for helping us all out, and for visiting the Inkwell! I'm also doing a summer promotion on my newsletter. (This might help someone buy that Wives and Daughters DVD now.. heh heh). One of the new subscribers during June, July and August will receive a $25.00 Amazon gift card. This will not include those who come in through other promotions such as BookSweeps, so the numbers will be in your favor if you sign up! Thank you so much, Debra! What fun this has been. :) Oh yes, my love of blades! Fun surprise question. :D Knife-throwing came first for me, but tomahawk throwing came shortly after, and both of these were around the age of 14/15 too. I'd always loved knives, but hadn't learned to throw them until a friend showed me. Then there was no turning back for me! That video is very accurate on tomahawk throwing - it is quite simple! And knife-throwing is exceedingly pleasing; a bit harder, but so enjoyable when it hits the target. How lovely to meet you Raechel. 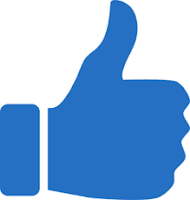 Sounds like reviewing is a calling for you and it certainly is a ministry as you are helping authors with your words. You've also introduced me to a new author. 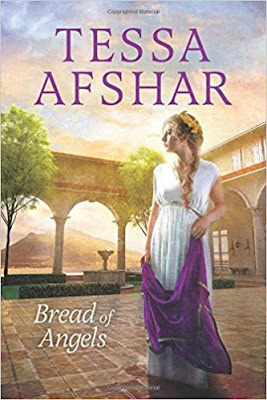 I've never heard of Tessa Afshar. I'll look at that book today. I really enjoyed your visit here. I think Tessa Afshar receives awards with each release! Hello Christina, and thank you! I'm very glad I can help recommend authors. I hope you are blessed by Tessa Afshar's books - I agree with what Debra said; I believe God completely writes through her! I love learning more about our wonderful bloggers. They're always so interesting.